I recently attended the launch of The Boots Beauty Experience Launch at Duane Reade with a special performance by British sensation Marina and the Diamonds. The British brand now offers customers “The Beauty Experience”, at Walgreens and Duane Reade shops in the NY metro area. Customers will receive complimentary access to incredible service and the opportunity discover and play with all the Boots beauty brands in one location: No7 Skincare & Cosmetics, Botanics Skincare & Cosmetics, Expert, Extracts, Mark Hill, Champneys, and Indeed Labs. 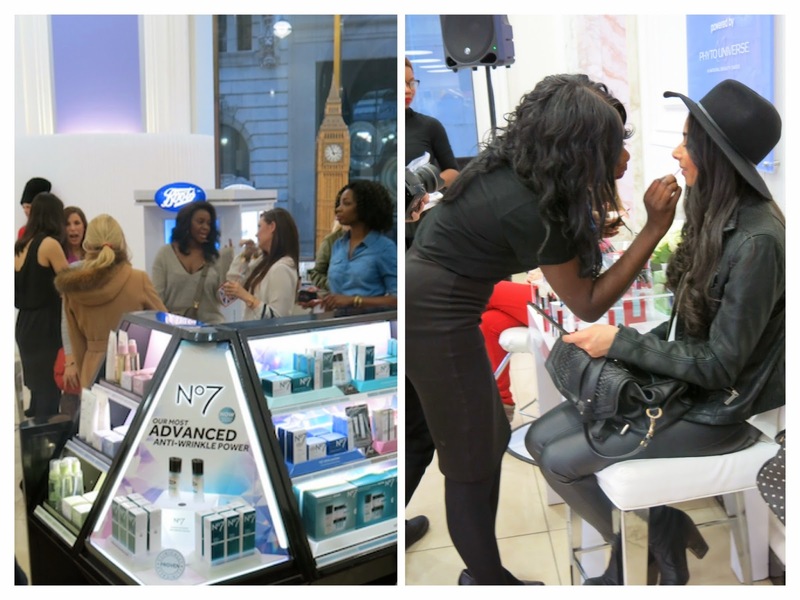 Boots Beauty Advisors were on-hand to offer advice, tips & trends, free samples, complimentary skincare consultations, makeovers, and quick touch-ups! They also offer complimentary Match Made Service, which matches you to your perfect foundation shade in just minutes. At the party we got to sample products, get makeup touchups and of course, take photos at the photobooth! I was excited to learn about the Boots Botanics product line which is free of parabens, mineral oils, paraffin waxes, SLS (Sodium Lauryl Sulfate) and SLES (Sodium Laureth Sulfate), replacing man-made chemicals with natural ingredients where possible. I also can’t wait to try the popular Botanics Organic range that is rich in Organic Rosehip to nourish and boost skin’s radiance. The Botanics Facial Oil is 100% organic and the first mass market facial oil to lock in moisture for up to eight hours. We then headed to a The Bailey Pub for performance by popular British pop star, Marina and the Diamonds. She performed her songs “Primadonna Girl” and “Froot” which were super catchy and fun! See the video below for her amazing performance! What a treat that you got to meet Marina and the Diamonds!